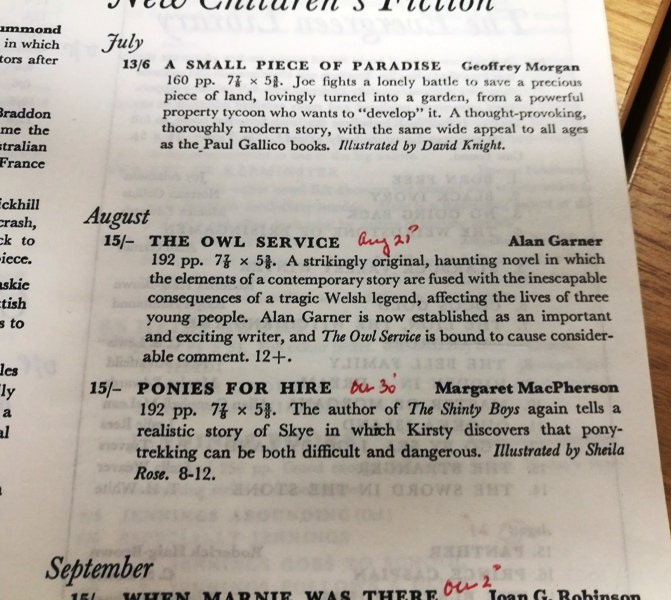 Alan Garner’s The Owl Service has its 50th anniversary today! (romance, sexuality, intergenerational and sibling conflict, etc.). I look forward to teaching the book again this year and to sharing its haunting qualities with my students.